The City of Farmington reserves the right to hire at either the System Operator or Senior System Operator level, depending on experience and qualifications. System Operators, as salaried positions, will work a mutually agreed upon shift schedule. Salary covers all scheduled hours; hours worked in addition to the scheduled hours will be paid at time and a half. Works under the direction of the Senior System Operator and the general supervision of the System Operations Supervisor. 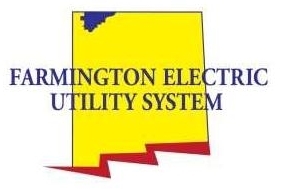 Purchases and sells electrical power, on a real-time basis, to meet the needs of Farmington Electric Utility customers. Monitors, on a real-time basis, the grid for system ties to maintain reliability to FEUS and the bulk electric system. Assures NERC and WECC training requirements are met. Under the direction of the Senior System Supervisor will take actions as directed to ensure the reliability of the transmission, generation, and distribution system and shall exercise such authority to alleviate capacity in dealing with energy and reliability emergencies without being required to obtain prior management approval. Using excellent customer service skills, establishes and maintains effective working relation-ships with customers, co-workers, officials, and all members of the public. Updates hourly loads, power resource schedules and ensures hourly resource adequacy to reliably meet customer demand. Ensures reserves are maintained as required by the Southwest Reserve Sharing Group. Monitors, enters and verifies hourly loads and resources for reporting to reserve sharing group to verify reserve requirements are met. Develops and executes arrangements within the WSPP agreement for power sales and purchases and any requisite wheeling and energy accounting requirements internally and externally. Uses NERC tagging guidelines to develop, implement, and verify, through the Western Interchange Tool, all power schedules and transactions. Prepares, processes, and coordinates switching procedures for transmission and distribution for routine construction, maintenance and emergency work on the system. Issues and records transmission and distribution hold tags and switching clearances. Under the direction of the Senior System Operator, restores electric service or reconfigures the system in the event of an electric system disturbance or failure, safely and promptly in an orderly manner through SCADA and field switching by giving radio directions to field crews. Records other information including hourly and daily electrical load, disturbances, failures and relay breaker operations. Monitors voltage, frequency, loads and Area Control Error (ACE) and performs minor adjustments using the Supervisory Control and Data Acquisition (SCADA) to ensure a reliable and balanced electric system. Answers trouble calls by recording pertinent information in Operator Daily Logs and/or Report Forms and arranging for a repair crew as needed. Required to perform rotation shift work of days, evening and nights, including weekends and holidays. Regular attendance at work is an essential requirement of this position. Travels as required for training for periods of up to one week. Operates a motor vehicle as directed to assist in carrying out the business of the division. This position is subject to the City of Farmington’s Drug and Alcohol Testing Policy that includes: pre-employment testing, post-accident testing, random testing, reasonable suspicion testing, return to duty testing and follow-up testing. This position is covered by NERC CIP security standards. Prior to being hired, promoted, or transferred into the position, the candidate must successfully pass a Personnel Risk Assessment, which includes identity verification and a criminal background check. Prior to being granted unescorted access to cyber secure areas, the candidate must attend cyber security training. SYSTEM OPERATOR: Works under the direct supervision of the System Control Supervisor. Has successfully completed the FEUS System Operator Trainee program, or has successfully completed an approval program at another utility. Is current with NERC Certification related to transmission operator functions. SENIOR SYSTEM OPERATOR: Works under the direct supervision of the System Control Supervisor. Is current with NERC Certification related to transmission operator functions. Has successfully completed at minimum, 3 years as a System Operator or equivalent experience in another utility. Experience: A minimum of three (3) years of experience as a power system operator/dispatcher. Education: Graduation from an accredited university with a bachelor's of science degree in electrical or power related engineering preferred, or a minimum of two (2) years of technical training in basic electric power system design and operation. Must have a combination of classroom and on-the-job training in power system apparatus, relaying, control, and system emergency response sufficient to sustain or maintain a stable and reliable electrical system. Proficiency in SCADA systems including, but not limited, to resource/load balancing, var flow and control and operation of power equipment through Remote Terminal Units (RTUs). Experience in power system generation, including energy and voltage control; electric transmission and distribution systems' operation; and, electronic scheduling tagging is required. Experience and knowledge of interconnected power systems and emergency restoration procedures. Knowledge of telemetry used in Area Control Error (ACE) calculations, hourly integrations, historical archiving and system load calculations. Knowledge of power system economic dispatch and dispatching of generation for system reliability and voltage control. Experience with off-system sales and purchases preferred. Experience with reserve sharing pools preferred. Ability to react calmly, intelligently, and efficiently under stressful conditions imposed by system disturbances, customers and/or other emergency conditions. Ability to direct field personnel. Ability to communicate effectively with others verbally and written. Knowledge of Microsoft Excel, Microsoft Word, and software applications using a browser, OATI tagging and on-line training such as S.O.S. If not knowledgeable, must learn within six (6) months of employment. Knowledge and understanding of basic math and basic algebra sufficient to reconcile daily/hourly loads and resources, to calculate basic electrical concepts such as ohms, current flows, voltages and power flows and to understand wheeling rates and contracts, losses and interchange accounts and power purchase and sales agreements. Valid driver’s license with acceptable driving record for the past three years. If required through federal or state legislation, obtain a valid passport for travel. The physical demands described here are representative of those that must be met by an employee to successfully perform the essential functions of this job. Reasonable accommoda-tions may be made to enable individuals with disabilities to perform the essential functions. Work is performed mostly in office settings. Infrequent outdoor work is possible for training purposes at various substation and distribution sites and generation facilities. The employee must have the ability to hear and speak clearly in order to process information and dispatch energy over the electric utility system. While performing the duties of this job, the employee is occasionally required to stand or sit; walk; use hands to finger, handle, feel or operate objects, tools, or controls; and reach with hands and arms. The employee is occasionally required to climb or balance; stoop, kneel, crouch, or crawl; talk or hear. The employee must occasionally lift and/or move up to 50 pounds to load computer paper. The employee must have corrected visual acuity sufficient to accurately read incoming data on computer screens, computer printouts and meters. The employee is required to perform shift work in a rotation of days, evenings and nights including weekends and holidays. Work space is smoke free, temperature controlled, and maintained at a comfortable level in all seasons.